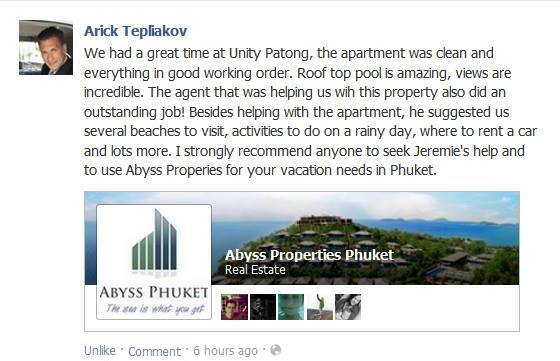 Abyss Properties Phuket offers you selected apartments, houses and villas to rent for your holidays or for long term lease. We would be pleased to help you to find the perfect home away from home. Let us know what you wish and we’ll make our best to find the property that ticks all the boxes. If you’re looking for an investment or to buy a place to settle down on this wonderful island we are your best advisor. We offer our expertise of the market and legal advices. We want you to be confident in your choice and we’ll do our very best to answer all your questions. Living in Thailand is a bliss, specially on the amazing island of Phuket. We wouldn’t suggest you a place in which we couldn’t live ourselves.